Although their campaign has concluded, if you would still like to make a donation to the Pitt Science Outreach Club you may always do so here. The Pitt Science Outreach Club is a student club that works closely with the Pitt Science Outreach Program here at the University of Pittsburgh. Our club was created to bring student enthusiasm and expertise in the development and implementation of Science, Technology, Engineering, and Math (STEM) outreach programs for children in the Greater Pittsburgh Community. 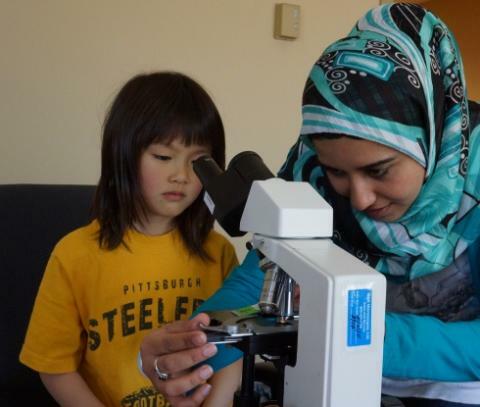 This club allows Pitt students to apply their interest in STEM outside of the classroom to bring hands-on science activities to the Pittsburgh community, inspiring the next generation of scientists! We have been involved in a large number of projects and events including the Mobile Science Lab Program, community events, and Sciencepalooza. 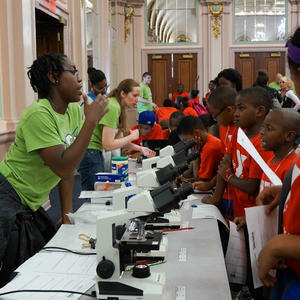 The Pitt Science Outreach Club events bring Pitt students, Pitt faculty & staff, and youth of our community together to excite youth about science. We partner with experts at the University to develop a fun, engaging, hands-on science curriculum that a team of students (we like to refer to ourselves as science mentors) deliver to youth from a number of Pittsburgh communities. In the 2016 summer and school year, we will implement a variety of new events within the community. In addition to traveling with the Mobile Science Lab to community events, we also plan to work closely with local YMCA’s and churches to facilitate day long science programs. We have plans to partner with local schools to supplement student learning through science programs involving a variety of different disciplines. These inquiry-based activities will be hands on, and allow our mentors to educate children throughout the Pittsburgh area. By the end of our 2016 programs, we hope to have: empowered youth to feel like they personally CAN DO SCIENCE, introduced students to some of the many applications of science, and inspired future scientists! Our goal is to raise $5,000 to support the programs and events we have planned for 2016. With these events, we expect to reach over 1,000 local Pittsburgh youth. Your generous donation will fund the cost of experimental supplies, transportation, science mentoring, and other costs associated with our program! With this donation, we can buy supplies for one child to do a hands on science experiment. This donation can cover the cost of gas to go to two weekend events! This donation can help us buy materials to put on a hands on science demonstration at one weekend event. This donation can help us facilitate a science based jeopardy game at a local YMCA for the day! This generous donation can help us create a whole new program to take to a science outreach location. 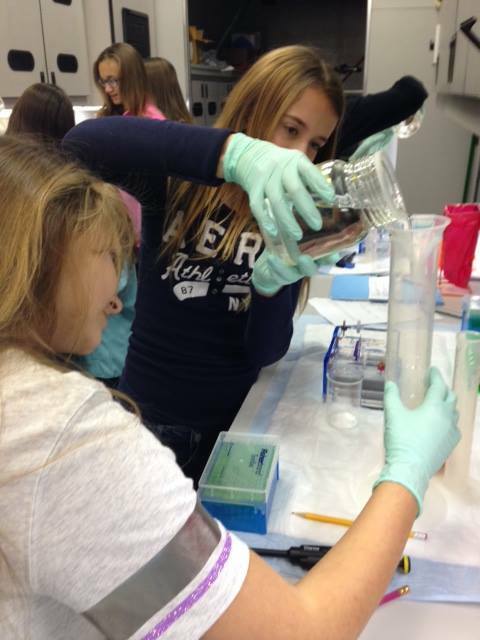 We hope to develop multiple programs to cover a variety of different science subjects! This donation will completely cover the cost of a Science Day at a local school! Yes, this is a real element and it will help us to create a new generation of "Einsteins!" This generous donation will allow us fund a monthly weekend program with new hands on experiments for kids at places like the Carnegie Museum of Natural Science!